Is The Q Becoming The Next L? Today’s edition of The New York Observer had a very interesting piece in the real estate section. The article took a look at the Q train & posed the question, can the Q be the next L? As you know all too well, the L train & the majority of neighborhoods it serves has gone under a major transformation over the last few years. With the loads of gentrification that has occurred in Williamsburg, East Williamsburg, Bushwick, & such… the line & neighborhoods have become a mainstay for the artists, hipsters, & such who seem to take over neighborhoods & leave their lasting tough. Whether this is good or bad depends on who you ask. I love the Q train. O.K., I love the B, too, but it’s the Q that’s stolen my heart. When I moved back to Brooklyn in January, the biggest factor in finding an apartment was its proximity to this train line, and especially to the 7th Avenue station (a nice change of pace after riding the G train for three years). It’s just far enough into Brooklyn that I am in a quiet, residential neighborhood, but also only the third stop into the borough, easily depositing me anywhere I need to go in Manhattan. 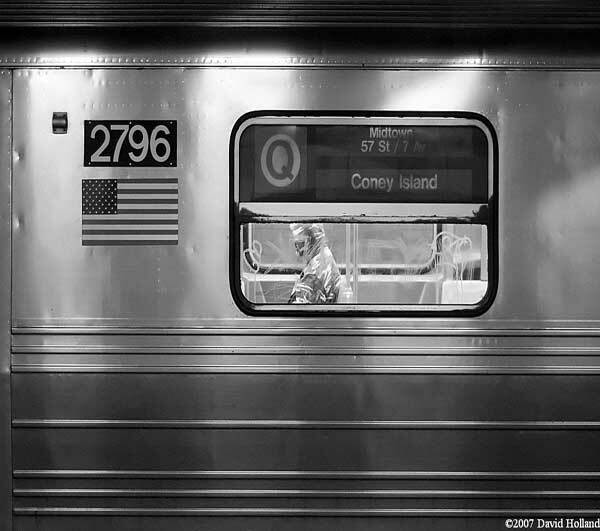 Like the L train of the early ‘00s, the neighborhoods along the Q/B line have seen new crops of people popping out of its stations along a path rumbling through central and southern Brooklyn, from Downtown, Park Slope, Midwood and Ditmas Park, through Sheepshead Bay and, via an expert right turn, Brighton Beach and Coney Island. The Q line even has some of the same digitally enhanced trains that graced the L line a few years back. Not only is the Q/B line convenient, with a recent sighting by Page Six Magazine of Brooklyn celebrity darling Michelle Williams dining with new beau Spike Jonze at popular Ditmas Park eatery The Farm on Adderley (off the Cortelyou Q stop), the perception of southern Brooklyn seems to be getting a makeover. It is nice to see NYC neighborhoods being portrayed in a positive light. My only concern is I don’t want to see every neighborhood overrun with hipsters, trust fund babies, etc… with their holier than thou attitude. While I’m not calling for a crime ridden area, it would be nice to be able to live in areas that offer a more diverse & mature attitude without the pretentiousness of a Williamsburg or Park Slope. Lastly when I do move back to the city, I would like to find an area not inflated due to these same people. It seems where they go, increased costs go!